Ahh the rat race. No matter where you go around the world, just about everyone is part of it. We are all racing to find our selves a way to achieve financial independence. One way to do this that many have been looking to lately is day trading. The truth is that building financial independence through day trading is possible, but it will take some effort. Today, we'll talk about why day trading is a great way to achieve financial independence, and the steps that you'll need to take in order to do so. 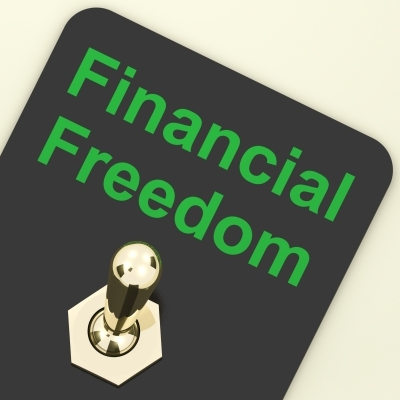 While day trading will take some work, it is a great way to achievefinancial independence. While long-term investing won't necessarily pay the bills if you don't have a ton of money in the bank, a smart day trader can easily turn a small nest egg into something substantial. Ultimately, day trading is all about finding the most profitable opportunities in the market during any given trading session and taking advantage of those opportunities by opening positions at lows and selling at highs throughout the day. This process, if done properly, can be incredibly lucrative. Before you get started, make sure that you are ready to turn trading into a full-time job. The truth is that those that are most successful make themselves available to trade any time the market is open. This helps them to make sure that if an opportunity for profits arises, they don't miss it. Also, when trades are open, it's important to pay close attention to them to ensure that they are closed at the right time to achieve the highest level of profitability. If you're not willing to glue your eyes to the trading screen the entire time the market is open, chances are that full-time trading isn't for you. However, if you're prepared to turn full time trading into your source of income, continue following the steps below! Before you get started in the world of day trading, make sure to do a bit of research. Take some time to study the market, learning what causes the prices of financial assets to rise and fall. Also, do research to find agood trading strategy. While fundamental strategies will help, technical strategies tend to be best for the day trader. At the end of the day, you want to make sure to do your research and ensure that you understand how the market works and moves. As human beings, we are incredibly emotional creatures. When working with anything that has to do with our money, emotions often get in the way. However, trading psychology is a well documented topic. Take the time to research trading psychology and learn how to set your emotions aside while you trade. This will go a long way to ensuring that you are profitable. The truth is that while day trading can be incredible profitable, like all investing, it also comes with risks. To ensure that you are profitable, and that on your bad days, you don't risk too much by way of losses, do a bit of research on risk management strategies and ensure that you understand how to manage your risks. Once you're ready to start trading, it's time to put yourself to the test. Instead of trading with your money, use virtual money. There are several brokers that offer practice accounts for beginners. Open one of these accounts and test your strategies. If you're making money in the virtual world, you're likely ready to start trading in the real world! Well, this post just sealed it. Been fun. Wish you the best going forward, but this site has drifted from it's ideals that at one time made it worth reading. Uh, did somebody just hijack your blog?